Two months left in 2012, and much of the Bush Era Tax Rate Cuts are set to expire. 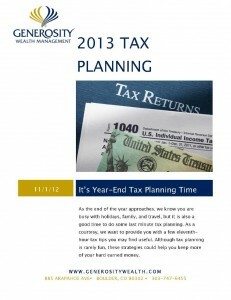 Now is the time to ensure you’ve done your last minute tax planning for 2012, and looking towards 2013. 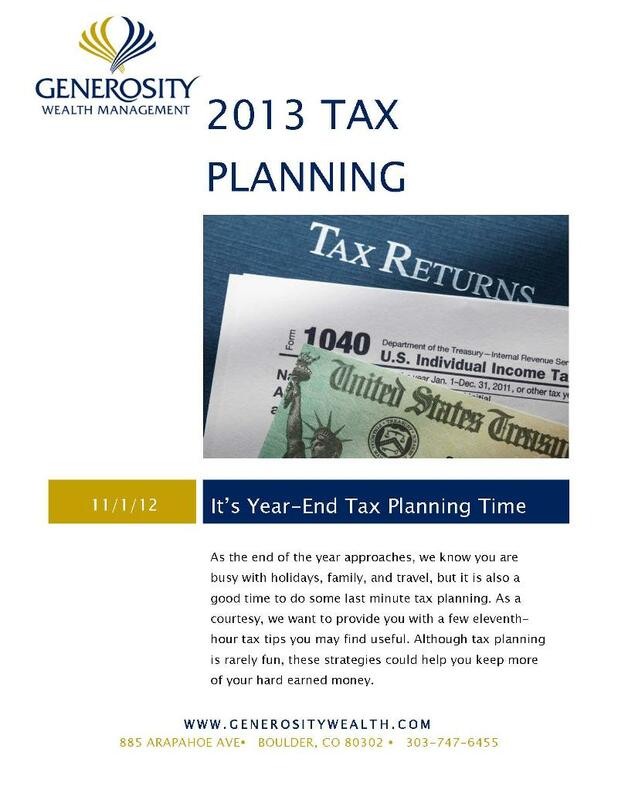 Click here for your downloadable PDF of my 2013 Tax Planning guide.